My name is Nicole Curtis. I am 26 years old, and I am from Waterdown, Ontario. I would consider myself a creative soul. I teach Kindergarten during the day, and at night, you can find me scaling Pinterest & Instagram for the latest trends/designs in event planning and crafting! Having specialized in Early Childhood Education and Autism & Behavioral Science, my love for organizing stunning events, paired with my passion for personal growth, soon led me to studying Event and Wedding Planning & Event Decor with QC Event School. 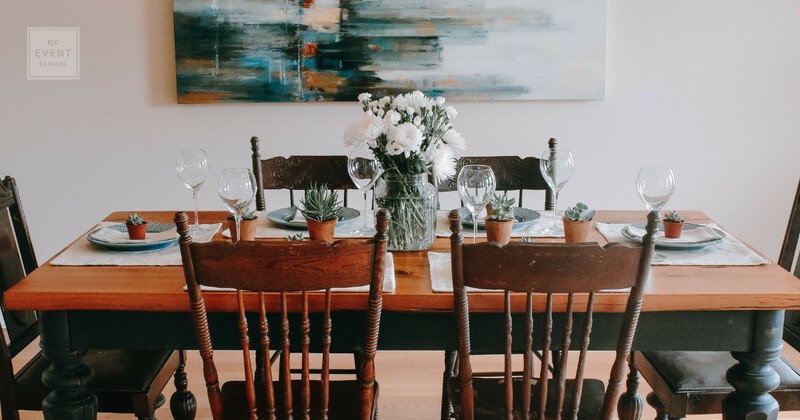 At the heart of the inspiration behind my decor company, Willow Décor Co., is the desire to help others, especially through those life-changing, unforgettable moments. When I’m not busy running Willow Decor Co. as the brand’s Creative Director, I can be found scouting the best craft beer in the city, reading a good personal development book, and seeking my next best adventure. Most of our students launch their event planner careers first, and then expand into event decor. Why did you do event decor first? 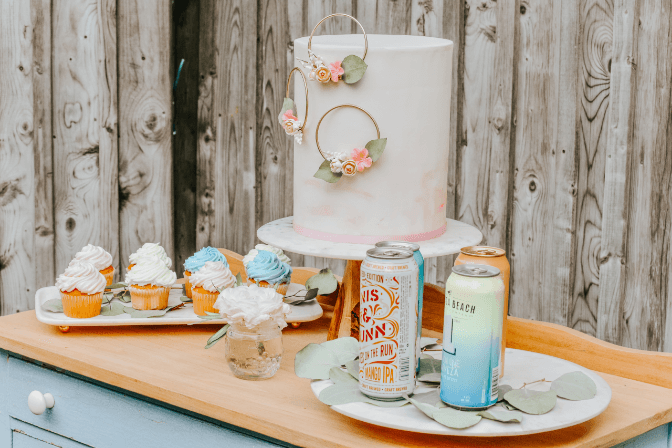 Over the past 3 years, I have been lucky enough to work for an amazing wedding planning company called INLY events as an Assistant Wedding Coordinator. 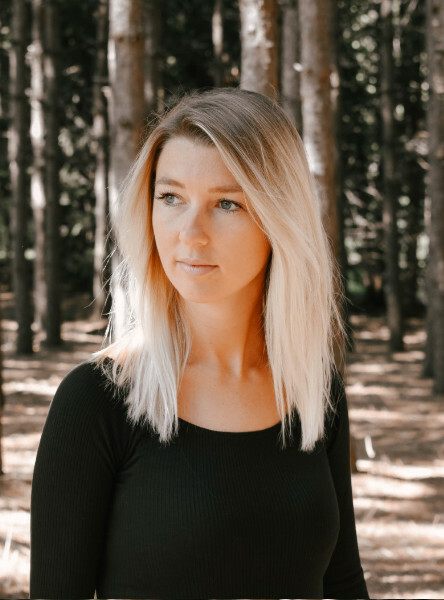 For this reason, I did not feel the need to start my own wedding planning company as I love what I am currently doing and feel no rush to start my own. I wanted to complete the event decor course first as I have always had a passion for decor and styling. I knew that this would benefit my company and expand my hands-on experience. I am all about the little things when it comes to weddings/events/decor. I love setting up the decor, creating the tablescapes, and making sure that everything is set in place and looks amazing for the bride and groom’s special day. This is where a lot of my passion comes from, helping others and making events look magical! 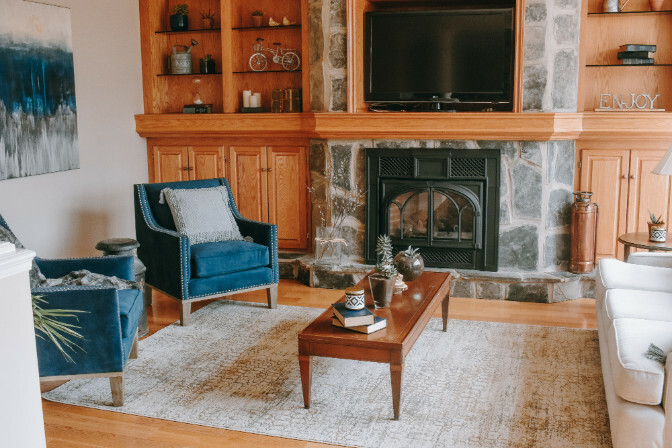 We love that you focus on unique and upcycled decor. Would you say you’re an advocate for sustainable planning and decorating? 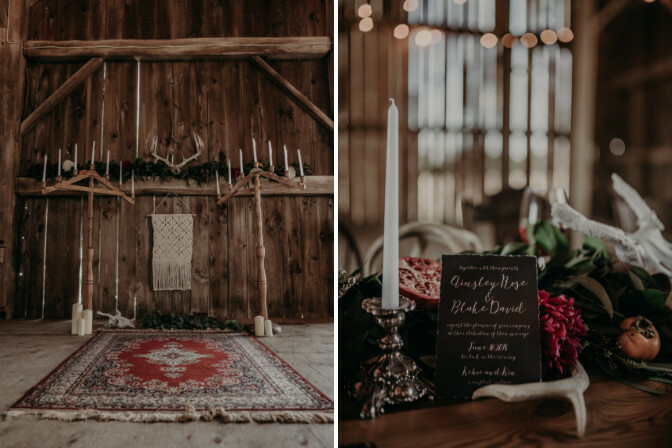 I would say yes, I am totally an advocate for sustainable wedding planning and decorating. Especially in this day in age with global warming and everything going on with our planet, we really do need to educate ourselves and others about the importance of reusing and becoming more aware of the impact we make on a daily basis. Events create a lot of waste and leave a large carbon footprint. We as event planners need to educate the people around us about all of the different ways we can become greener, and why it is so important to our planet and to the future of our planet. What’s something you wish someone had told you before starting your decor and event planning business? Be prepared to get outside of your comfort zone, and be prepared for early mornings and late nights! I don’t think anyone can really prepare you for how much work is involved when starting your own business. But at the end of the day, when you are passionate about something and building it from the ground up, you will do whatever it takes. Even if you have a full-time job on top of it all, you will make it work! Be patient! Great things take time. Can you show us your favorite project or client and where you drew inspiration from? 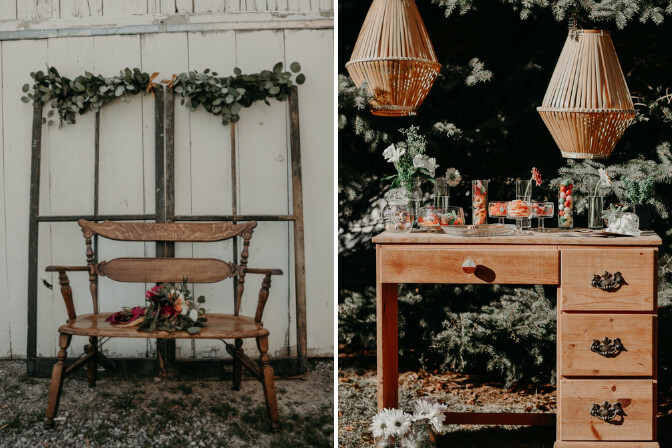 My favorite project would have to be the Bohemian styled shoot that Willow Décor Co., styled and provided decor for in July 2018. A lot of my inspiration comes from a company in the states called Archive Event Rentals. I absolutely love their work! Did you start offering home staging services from the get-go with your event decor services? Yes, we do offer staging services for homes. We actually did not offer this service from the get-go. My business partner’s mother is a real estate agent, and she actually got us an amazing staging opportunity for a home in Ancaster, Ontario! The home was completely empty and we staged the entire main floor. 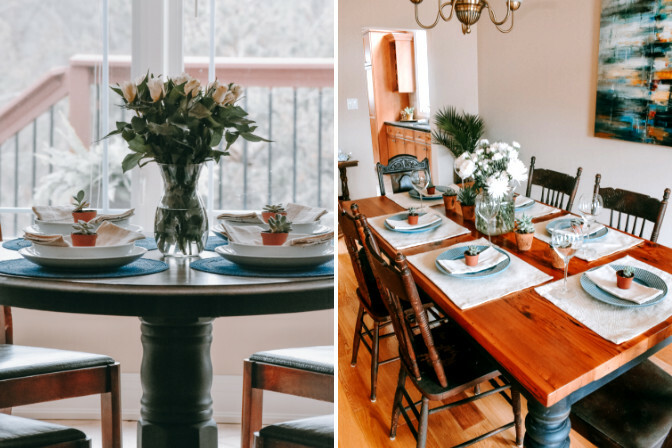 Here are some photos of what we did—we used Willow products and then we had to purchase smaller items for decor purposes to make everything come together and look cohesive. We have gotten to fortunately work with a lot of amazing vendors, which is something we love. We love connecting with other creatives and learning from people in the industry. The feedback we are getting from Instagram has been amazing. People seem to gravitate towards our work and love what we are doing. 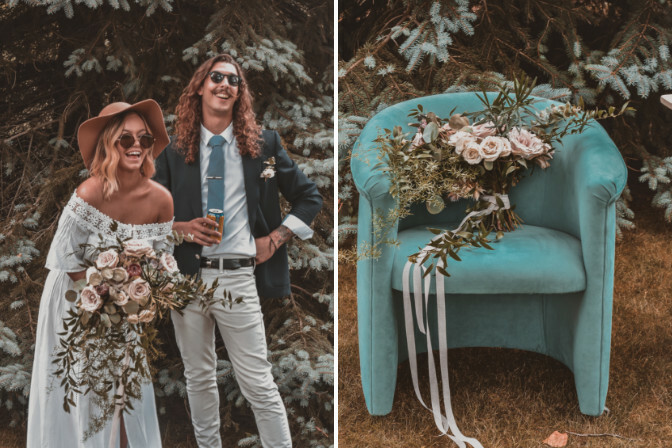 As far as our biggest career highlight, it would have to be getting to work with the amazing Katie Marie Photography and having an outstanding video created of our Bohemian shoot, we did out in Wainfleet, Ontario in the summer of 2018! 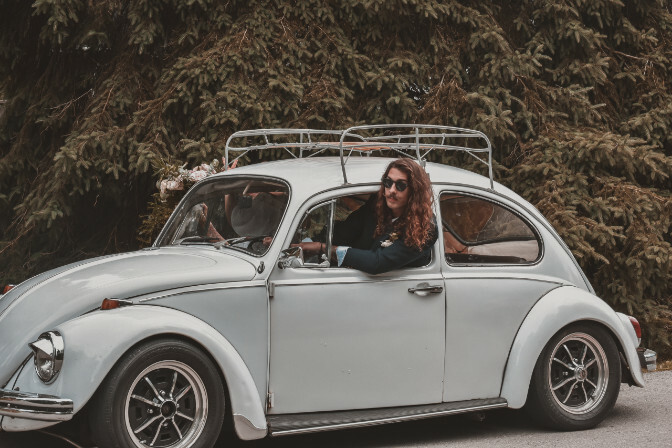 The video was shot by Peter DiBussolo and captured amazing moments of an amazing day. 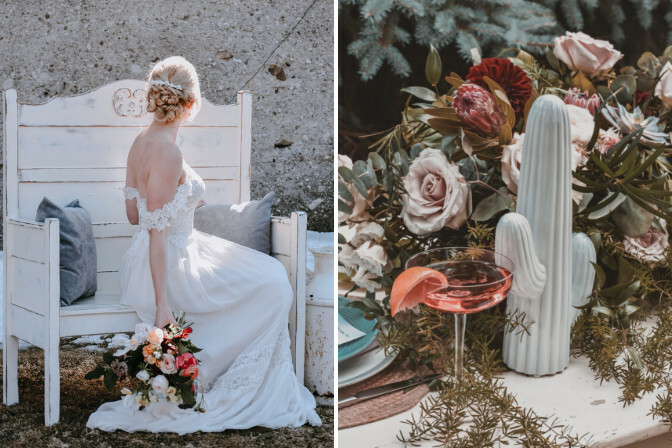 The decor and styling of the shoot was done by Willow Décor Co. Style Bridal Shoot from Peter DiBussolo on Vimeo. How has QC Event School prepared you for the wedding planning business? I am in the process of completing the Event and Wedding planning course, but I have already noticed things that will help me once I am completed. I do have hands on experience in the industry, which I find is really helping with the completion of the courses. I have gained knowledge in the logistic side of things, knowing how to go about client consultations, what to look for when choosing a venue, how to plan a corporate retreat and so many more—and I am only on Unit B! As much as we love to take things day by day, we are so excited for 2019! I personally have a line-up of weddings I will be assistant coordinating starting in June up until October with INLY events. And for Willow Décor Co., we are looking at adding some new items to a special collection and re-vamping how we do things and adding some new services. Just how extensive is the role of an event decorator? Read the full job description here!